This is a little story about ‘Feen Bean’, a recent Pet Portrait painting I did. Feen (short for Phoenix)’s mom is a local Calgary photographer and she took this beautiful photo of her beloved pup against a grassy/treed backdrop in a bokeh style (where the background is blurred). This was my first time painting such a background, and am excited at the outcome! It’s always fun trying new techniques such as this. 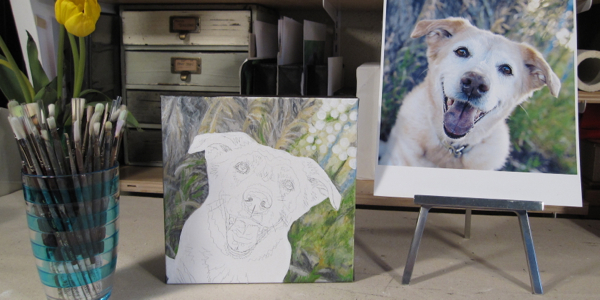 Sadly, Feen Bean’s painting is a memorial piece as she had recently passed over the “Rainbow Bridge”. I really love the reference photo her mom selected to have painted, such a smily happy girl she was! So much personality shines through in the photo. I wish I got to meet this sweet little doggie in person. 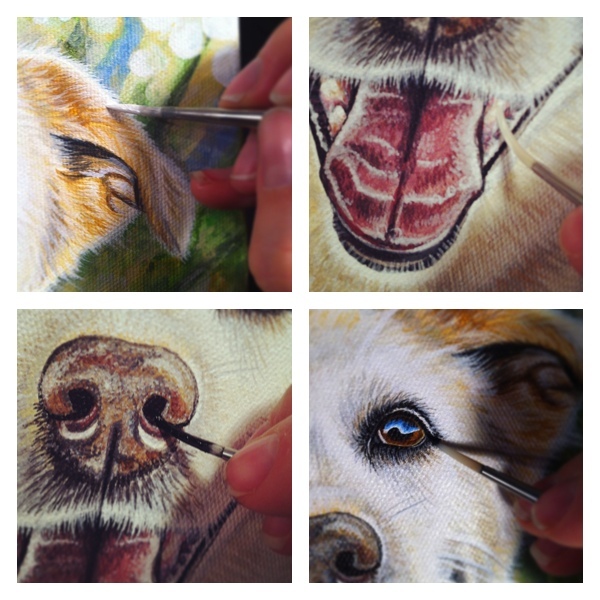 To view a full image of the finished painting, please check it out in my ‘Pet Portraits Portfolio‘. 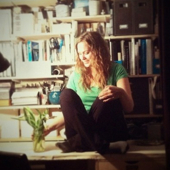 To view Feen’s mom’s awesome photography website, take a look HERE.